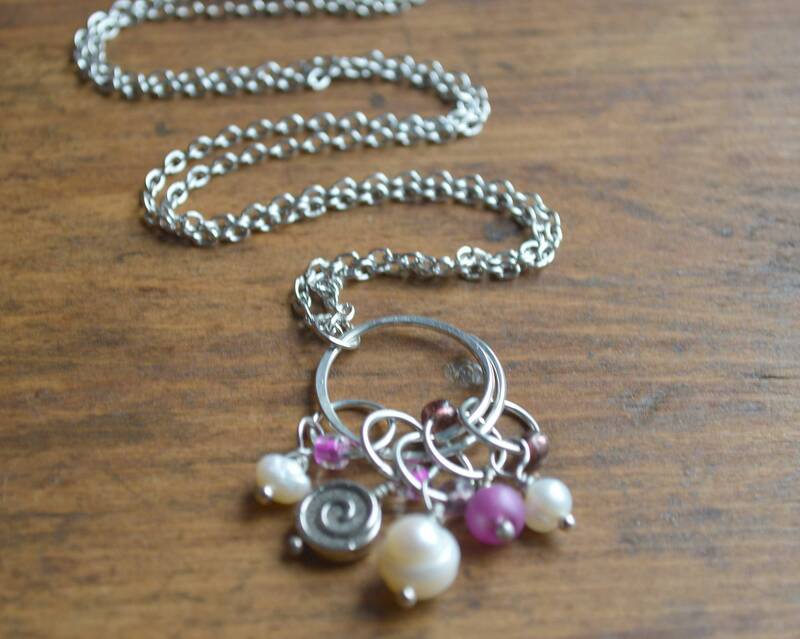 One set of (5) stitch markers each featuring a unique charm or focal bead on silver rings with a purple themed glass bead sealed over the seam. 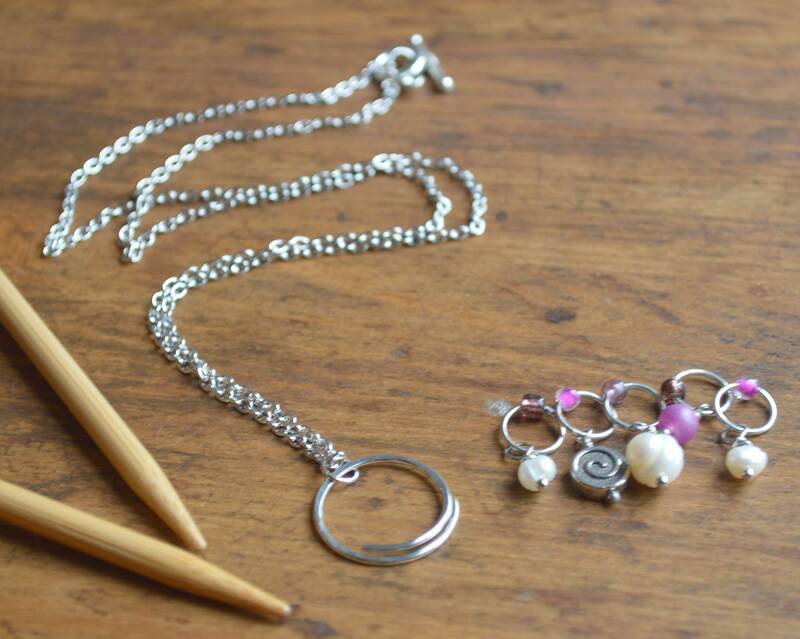 Set includes my signature hand shaped, gently hammered marker holder which I've slightly sized down and attached to a 24 inch silver chain with matching toggle clasp. 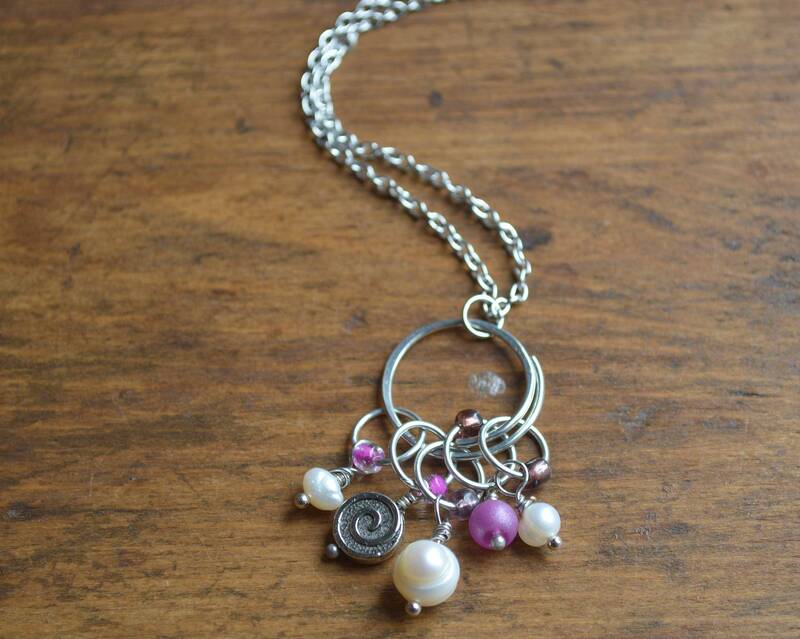 The rings on this set can be made in multiple sizes. Photos show size medium on size US 9 needles. 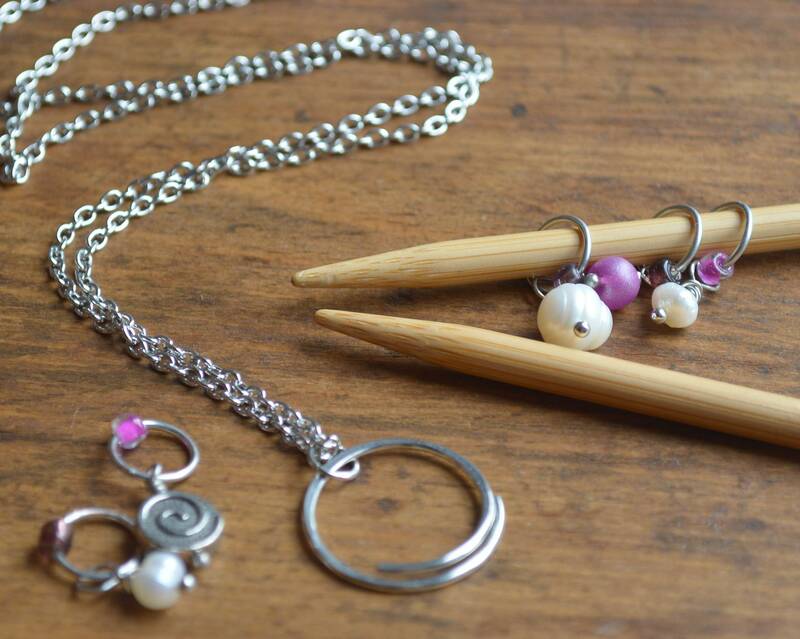 Designed not only to be a functional tool for keeping your marker sets together and organized but also to be a beautiful piece of jewelry as well. Markers can be easily adapter for crochet. 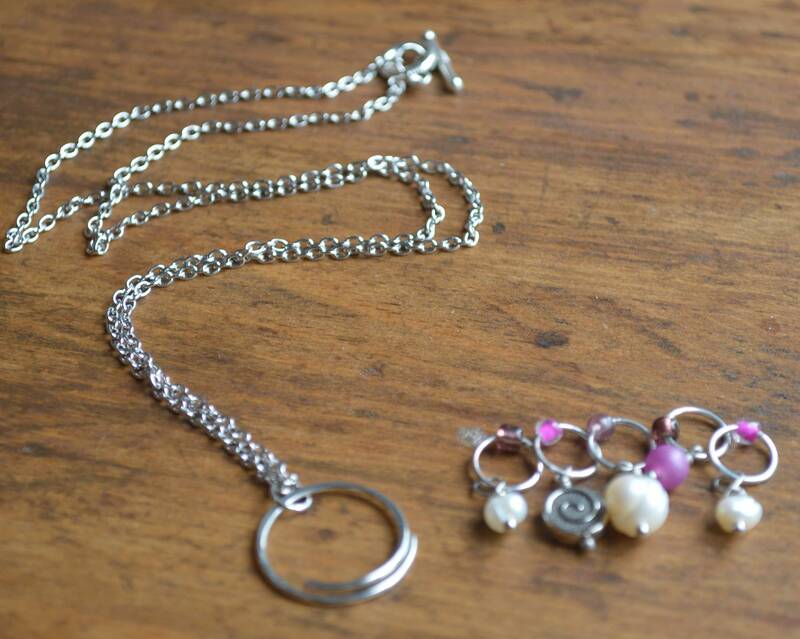 In place of rings all charms will be secured to silver lobster clasps. Simply select "Crochet" under size options. 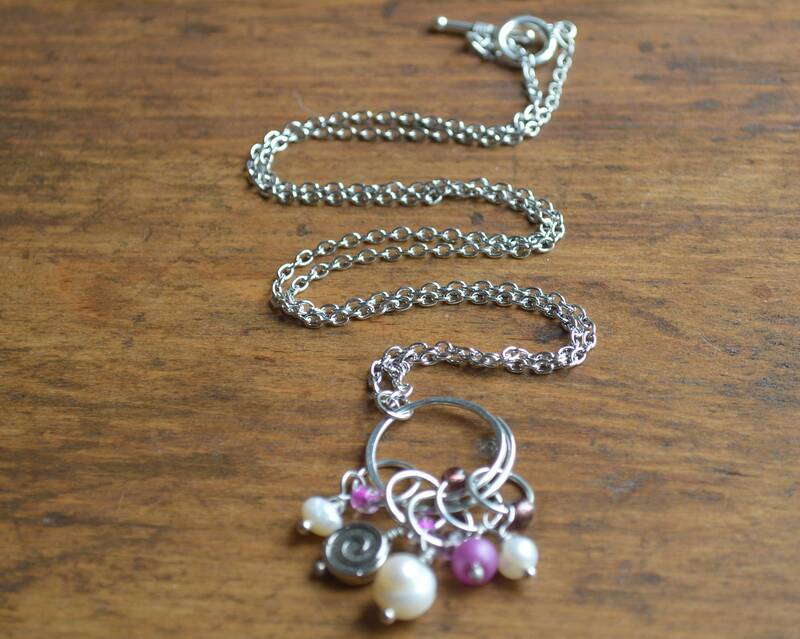 + Stitch markers are handcrafted with sturdy but lightweight 18 gauge wire and glass seed beads. + Featured markers are useful for denoting the beginning of work when knitting in the round. + Beads are sealed over the wire seams to ensure they are truly "snag-free". + Marker holder is hand shaped in 16 gauge wire and gently hammered. Medium - fits up to US 9 (5.5mm) knitting needles.